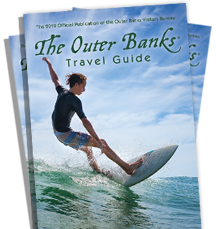 Outer Banks Resort Rentals specializes in Outer Banks Resort vacations from Duck to Hatteras. With accommodations ranging from an oceanfront villa with a magnificent ocean view to a beautiful condo nestled in a maritime forest, our condominiums are perfect for all seasons. Prices range from $350 for a 1BR efficiency and up for a 3-4 bedroom oceanfront penthouse. A unique aspect of our rental program is our Inclusive Pricing. Guests are not burdened with unexpected registration charges, linen and cleaning fees or taxes. Our pricing is straight forward and simple. We also are able to offer travel insurance. With so many companies vying for vacation business, it is vital to work with a trusted, honest and reliable business. As a member of the Better Business Bureau, we are that business and look forward to working with you.